The company is vertically integrated with a strong presence across the pork value chain from farm to fork. 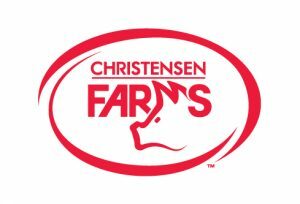 Christensen Farms is the largest shareholder of Triumph Foods LLC, a producer-owned primary pork processing plant in St. Joseph, Missouri. In turn, Triumph Foods members own 50 percent of Daily’s Premium Meats, a specialty pork processor of bacon and other premium pork products. Triumph Foods also holds a 50 percent partnership in Seaboard Triumph Foods, LLC of Sioux City, Iowa, a primary pork processing plant. This position will be responsible for driving current and future talent acquisition needs from entry level up to manager level within the organization. The Talent Acquisition Supervisor will provide day to day operations leadership to a team of talent acquisition professionals and associated vendors/partners. This individual will be expected to build strong relationships with key stakeholders across the organization creating solutions for complex hiring situations. The Talent Acquisition Supervisor will be both internally and externally focused and provide ongoing market intelligence to assist in decision making and strategy recommendations. A proven track record of success within a challenging and high volume environment is essential for this position. The role is critical for executing our people initiatives, providing great internal customer support and ensuring best HR practice to meet business goals and objectives. This position will be located in the Sleepy Eye office with steady travel requirements to meet objectives. Some work in the evenings and on weekends is required. Develop strong relationships with key department leaders to deliver consistently high standards of recruiting results for the organization. Recommend appropriate strategies and solutions to meet all human capital needs of the business. Assess and anticipate staffing needs up to manager level positions throughout the organization. Develop strong relationships with vendors and relevant industry entities to ensure CF’s competitiveness for talent is maximized. Monitor compliance with state and federal requirements for applicant tracking and affirmative action plans. Provide comprehensive reporting on development and progress of talent acquisition initiatives. Analyze and present relevant market intelligence to help decision making and strategy development. Provide coaching, support and guidance to hiring managers. Develop a strong and pro-active hiring team capable of partnering with key hiring managers throughout the organization. Continuously evaluate the best options for attracting talent to the company including analysis of numerous alternative strategies. Minimum formal education required: Professional degree. HR or Marketing emphasis preferred. PHR certification is a plus. Experienced in managing/evolving talent acquisition and career management strategies. Knowledge of current HR policies and procedures. Excellent presentation, communication, and interpersonal skills. Ability to exercise effective judgment and act under pressure. Ability to maintain sensitivity and creativity to changing needs and situations. Proven track record of establishing effective working relationships with internal and external partners. Detail orientated and able to work proactively and effectively with minimum supervision. Strong proficiency in MS Word, PowerPoint, and Excel. Competent with HR technology management systems. Ability to maintain a strong sense of confidentiality. Relevant industry experience is a plus. Spanish language skills is a plus. This position will require occasionally operating a company vehicle. Any employment offer extended for this position will be is contingent upon the review of the candidate’s motor vehicle record (MVR). The MVR will be reviewed to determine insurability based on CFF’s insurance carrier and company policy.